Bal Harbour Movers – Moving is one of the most stressful activities someone can go through. Our mission is to make your move as easy as possible with the least amount of stress to you. Rest assured that we show your belongings the utmost care. 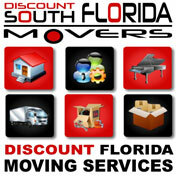 Discount South Florida Movers has been serving the area for 15 plus years. We offer our services for the lowest rates around without sacrificing any quality. There is no part of your packing, shipping, and moving needs that we can’t handle. Whether you need to move an office or a residence we do it all. We can even transport hard to move items like a piano. Our team can help with everything, no matter how far away. Whether you are going across town or across Florida. We guarantee your move will be done safely and on time. Bal Harbour is a small village in the northern tip of Miami Beach. It was incorporated in 1946 and was the first planned community in the state to have their utilities run underground. Many hotels and resorts such as Kenilworth By-the-Sea to The Ritz-Carlton dot the coast line of this beach front town. It is one of a series of barrier islands that extends all the way to Key West. Almost half of the city is water with less than half a mile of land that is home to 2,500 residents. The village boasts a diverse community with over a third of the residents speaking Spanish as their first language. The beautiful landscape, developments, and diverse population make this a desirable location. Discount South Florida and Bal Harbour movers provide low rates on residential, commercial, piano and long distance moving.